As a hypnotherapist, lecturer, author and PhD researcher on the subject matter of cognitive neuroscience, hypnosis and self-hypnosis, I tend to be employed for my undernstanding and application of hypnosis and psychology, not diet, regardless of what your diet pill resource guide says. I even teach the fact that writing, speaking or advising anyone on a subject you are not qualified in is beyond your professional sphere of competence, it would contravene the professional code of ethics that I adhere to and is just not done. When people come to see me for weight reduction, I’d love to tell them to run marathons and eat in a particular way, but that is for a personal trainer and a nutritionist or dietician to do that. A hypnotherapist then does not attempt to be a panacea, rather, work in a way that is part of a more comprehensive treatment plan. So today, I am definitely not giving advice about diet or eating habits beyond what is pertinent or correct for me to say, but I do want to tell you about my own pathway and my own choices in this regard, because I have been delighted with them. I’m just excited. I kept on reading about it online – more and more endurance athletes were moving away from high carbohydrate, low fat diets and moving towards a low carb, high fat (LCHF) diet. More and more evidence was also being shared to support the use of fat as fuel and people who are influential to me were raving about it too. The main proponent of the low carb, high fat (LCHF) diet that I could see initially was Professor Tim Noakes. I bought a book he co-authored called the Real Meal Revolution and read the science and the recipes. If you google the book, Professor Noakes and the ‘Banting Diet’ you’ll discover the world that I discovered, if you have not done so already. The book, the Facebook page and twitter accounts will inform you on all the science, the ill-informed popular consensus of former decades and all the reasons that this approach is being lauded by so many currently. Do read about it. I explored it greatly before I took the leap of faith and dived head first into it. At first, I was a bit dismissive because I had struggled to maintain a paleo diet before. This (the Banting approach) has similarities but was distinctly different however and most of the things I love eating and that I celebrate eating, were permitted. I could have full fat butter, milk, cream, natural yoghurt, and totally omitted from my life was sugar, wheat and simple carbs – note; these are not totally outlawed, but I made a decision to omit those totally from my diet. I am someone who has a bit of an addictive personality and sugary stuff, simple carbs and cereals were things I had scoffed until they came out of my ears in the past – so much so, that I had put weight on when training for London marathon back in 2010 (although that has only happened once in all the marathons I have run). I wrote the word “diet” reluctantly in former paragraphs today, because as Professor Noakes says, it is not a diet. It is a lifestyle and I really get that now. My life and attitude has changed dramatically. I also worried when I started out writing this blog entry that if I opened up by saying, this is not a diet, it’s a lifestyle change, it would sound a tad pretentious and may have put you off reading further. My body had become very good at using carbs for fuel. I would binge on pasta the night before my long runs, I would use gels and sachets of sweet stuff during my Sunday long runs and reward myself with a post-20-mile-run cake. As an aside (i.e. nothing to do with Banting), I also decided to stop drinking caffeine. I definitely used to faster with an espresso shot or two poured from my Bialetti stove pot before I headed out on runs. Those that know me, know I also have had a tempestuous relationship with coffee (and Green tea) over the years. I only drink the good (good, in my opinion), strong stuff. Yet caffeine often made me anxious, it impaired my ability to sleep well, gave me withdrawal headaches when I went 48 hours without and so I decided that I wanted my runs to be all about me. My ability. My strength. My legs. My resources. My guts. Not about how much coffee I had consumed to help project me. There is stacks of evidence out there about how coffee and caffeine can and do advance endurance, but I made a personal choice out of personal preference, almost puritanical in a sense. The timing was right. The first week of banting was pretty tough. I was actually ill which I believe helped me, because my appetite was suppressed from my illness symptoms and I was able to get onto eating with principles according to the plan. I also suspect that withdrawal of various kinds and the dietary changes were contributing to me feeling lousy for a couple of days after my illness had gone. Once I’d gone through that, it was like I was home…. I am now 3 months in. It has been 3 months since I had any sugar, 3 months since I ate any simple carbs (the only carbs I have had have come from vegetables, and no potato or potato product has passed my lips either), 3 months since I had caffeine, 3 months since I had anything with wheat in it, 3 months since I began Banting. I love it. I never really feel hungry as I used to experience hunger. It is indeed a lifestyle choice and my lifestyle is different now. I leave my Yorkshire puddings (there’s usually someone happy to take them off my hands) when we’ve had Sunday lunch out at a restaurant, but I don’t mind. I don’t really have cravings for any of the things I used to. I wrote about the fat shake, my new long run preparation, at my personal Facebook page – it comprises full fat milk, cream, butter, coconut milk, raw cacao powder and is sweetened with a pinch of Stevia – my friends mostly all commented that it sounded like a heart attack in a glass!! Hahahaha, it would sound like that if you base your understanding on former poor science. I was raised on the idea that fat causes heart disease and cholesterol, yet science today seems to refute that notion. Again though, my job is not to tell you about food or physiology science, that is the job of other authors far better qualified than me. Each week, I bake my own LCHF seed loaf of bread (it’s wheat free of course) and my own seed crackers to have with cheese every now and then. We are having some of the most delicious breakfasts (chorizo and eggs on kale, asparagus and ham frittata, my own homemade nut granola and many others), if I have lunch it has lots of green stuff in it and we have wholesome family meals – roast or slow cooked meat with all the good vegetables (gem squash with blue cheese is a sensation), sauces and so on. So I wanted to write this and share because it is a blog about my own running as well as my writing about evidence-based applications of hypnosis and cognitive sports psychology for enhancing running performance. I also wanted to write it because I wanted to share something that has become key to me. In my years on this planet, I have paid attention to myself. 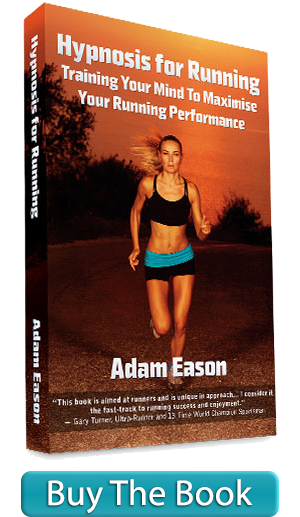 It is tough to run marathons and not learn a great deal about yourself. With all the marathons I have competed in, I know what my body can do in that regard, I know how well my training has gone, how much more I can push and how to use my mind to draw upon more of my own resource when needed. Likewise, I have experimented with a LOT of diets, supplements, as well as fads. I am currently training better than ever, I feel stronger than ever. I only ever take water on my runs and even then, I only take that on the longer runs. I fuel my training and my recovery using fat and though I felt a bit sluggish at first, my body is gradually getting better at being fuelled by fat. I feel like this is right. I did not need to lose weight, but I have dropped a few pounds. Weight was not my issue. Feeling healthy, being fuelled healthily and in an evidence-based way that I can believe in as well as feel good about is essential for me. I have found the right place for me when it comes to diet. …. And as I said in my previous blog entry here at hypnosis for running, having belief invested also advances performance. I feel better in myself with the knowledge of what and how I am feeding my body. That belief contributes to the psychology of my own performance, boosting self-efficacy. This is the crux of the matter for me…. We find what is right for us as individuals. There are not necessarily hard and fast rules that dictate what is best for everyone. I am sure there will be discoveries that will shift current thought and stances even further, but for now, we find what is right for us. You all know the advice I’m going to give next… If you are training for a Spring marathon as I am, then you get this in order now. You don’t wait until marathon expo day and try out a few of the free samples being offered and decide to switch to those there and then because they were yummy and made you feel mentally happy for the time you were in the expo! If you fancy LCHF, then look online, there are loads of Facebook groups, recipe sharers and websites online that support carb-free living or low carb approaches and there is lots of support if you look for it out there. There you have it, something that has been key to my own running in recent months. I’ll leave you with a couple of clips will will probably lead you elsewhere too…. The trailer for Cereal Killers 2 (this one is more relevant to us runners, but do go watch the original Cereal Killers also) and an interview with Tim Noakes about the Low Carb approach for Endurance Athletes. It makes for reassuring listening. I’m not suggesting you do the same as me. I’m suggesting that you explore and find what’s right for you. I seem to be joining the many who are finding Banting to be what is right for them…..
I’ve got more to tell you about my own development tomorrow… Then we’ll get right back to Hypnosis for Running in earnest….